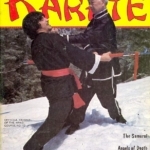 Of the multitude of martial arts authorities in Southern California was Grandmaster Ark Yuey Wong. 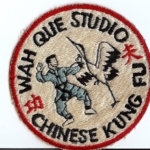 Had Kung Fu schools since 1921 in the States. He was born in the large village of Toysun Tien Sum Chien, Canton, China, in the year 1902 into a moderately wealthy family. Early on he was exposed to the ancient fighting arts for reasons not unlike those, which have lured many Americans to the martial arts; as need to defend one from articulated or actual threats of harm. A younger jealous brother in order to weaken the older man and obtain his wealth attacked his great-grandfather. 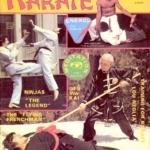 Upon recovering from the attack, the old man required all his male descendants were obligated, by degree of their great-grandfather, to learn Kung Fu when they started school at the age of seven. 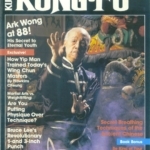 It was at the age that Ark Wong began his training. His first Shifu was the well-respected master, Lam Ark Fun. Master Lam was rather old at this time but still highly revered as a great teacher of the art. At the age of twelve, Ark Wong was taught the art of Chinese Herbal Medicine a skill that he would employ extensively later in life from Master Lam. 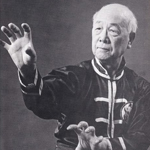 Ark Wong studied under another well-respected master, Ho Ark Yeng from whom he learned Mok Gar Kung Fu. 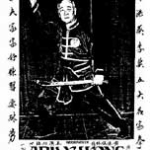 Both Master Lam and Master Ho were hired by a representative of the great-grandfather to teach the Wong family exclusively. opened a Kung Fu school for his family and the younger children of the area. One New Year’s, as was the custom for New Year’s, all the Kung Fu schools gathered to put on the “Lion Dancing” demonstration. On the basis of these demonstrations by the different schools the masters were chosen. 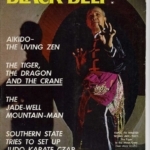 Only the best demonstrators would receive the title “Master.” At the remarkable age of nineteen Wong Ark Yuey was made Master. In 1921 Wong came to the U.S. and opened up a school in San Francisco and later in Oakland. This was the birth of Ng Ga Kin and Ng Ying GA in the United States. 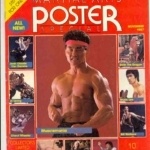 but got certified anyways he did sign the poster for Shifu Marquez in 1985.